Part of the legend of the Gerber name is their ever-expanding list of special use knives. The E-Z Out Rescue is a prime example. Designed for scenarios when you need to cut without risk of poking or puncturing adjacent surfaces such as someone's flesh. 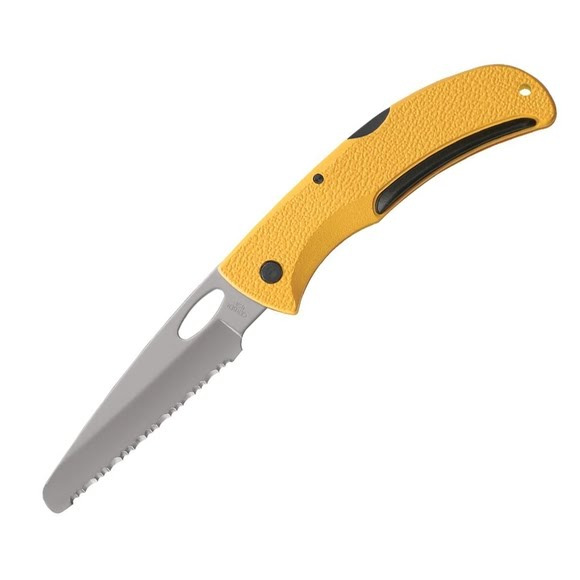 This knife can be seen clipped on the pockets of search rescue types. The blunt tip will do no harm. Part of the legend of the Gerber name is their ever-expanding list of special use knives. The E-Z Out Rescue is a prime example. Designed for scenarios when you need to cut without risk of poking or puncturing adjacent surfaces such as someone&apos;s flesh. This knife can be seen clipped on the pockets of search rescue types. The blunt tip will do no harm. Yet the wickedly serrated blade is gonna cut through stuff like crazy.